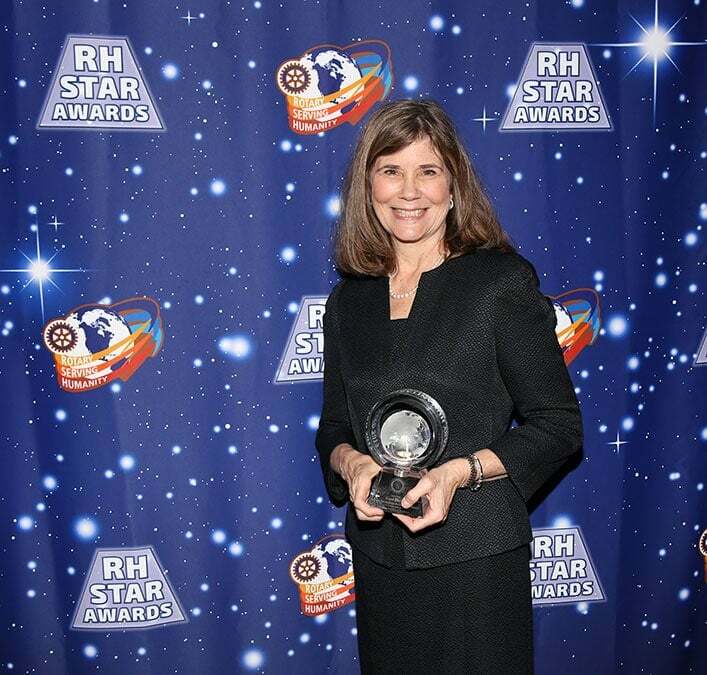 On 1.04.17, Our Children LA Founder and President, Dr. Denise McCain-Tharnstrom, was honored to accept the Rotarian STAR Humanitarian of the Year Award for Knowledge Sharing. Dr. McCain received this award for her visionary leadership and development of the WIN mobile application, which uses mobile technology to connect homeless and resource insure youth/adults to much needed services. The Knowledge Sharing ward recognizes individuals or teams who have, through scientific or technological discoveries, significantly improved our ability to share knowledge for human benefit or who have made scientific or technological advances in order to improve or save lives. Winners of the STAR award were selected by an outside panel of distinguished advisors: Dr. David A Bearden, Dr. Joel W Burdick, Dr. John F. Raffensperger, Dr. Phillip R. Troyk, Dr. Marie Csete, Dr. Sylvia Whitlock, The Honorable Lance A. Ito, and Dr. William C. Patzert. The Rotary Club of Sierra Madre, embodying the pursuit to serve humanity, offers the Rotary Humanitarian STAR Awards to honor and bring to light achievements that support, advance and inspire humanitarian accomplishments. The WIN app, developed by Dr. McCain and the OCLA team, leverages youth and adults trust in technology, the availability of free internet and cell phone providers offer of free Lifeline phones to homeless or low income individuals, to empower homeless, hungry and vulnerable populations to locate the supportive services they need.